That is the question of the year!! I’m hoping everything is wrapped up by June 1. The current portion of the landscaping is to be done in the next two days. Then the pools guys come back for the pool decking and when that’s done they move onto the tiling/plastering of the pool. Once all of that is wrapped up, then the landscape company comes back for final plantings, sprinkler system and sod. None of that is available until mid to late May which is why I’m thinking June 1?? Man they were BUSY today! I bet they sleep good tonight! WOW! You are going all out on your yard redo!! April 3 - There She Blows! Man they got a lot of work done!!! They are being so good about keeping the area clean while they work! Another day of dirt moving. Final landscaping day is today - then we are back to pool work! It’s spring time and the ducks are back! 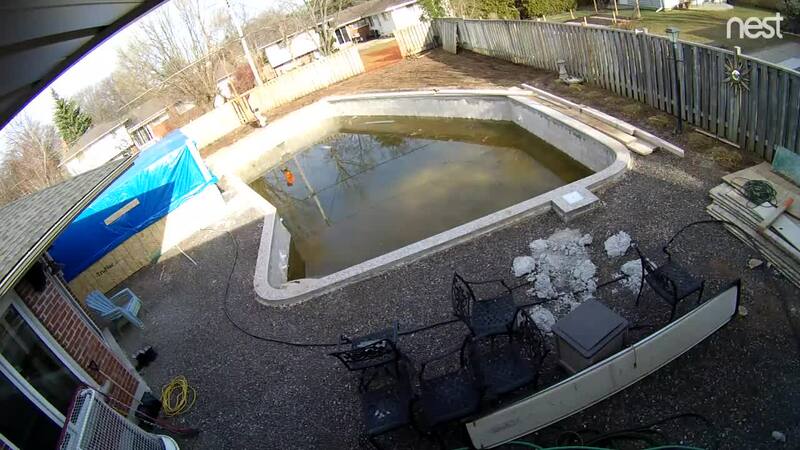 Well I was home on Friday when the pool builders were working on the spa. Their goal was to pour the concrete steps. I went to watch during the process and they were busy taking out the concrete they had poured. I was hoping for a smooth non stone polished concrete look and the mix they were using had too many stones in it. Sooooooo, out it comes and they will come back this week to put a “less stone” product in for the step, bench and floor (and the great thing is that they had taken most of the concrete out before I went into the “spa hut” - these guys are great!). Here are pictures of the forming - hopefully by weeks end the spa is done and the hut taken down so work can start on the decking. I will say it AGAIN!! YOUR PB is the best I have seen!! I can hear Kim now “you have a great PB”, and yes we do. Over the weekend they did some work mixing concrete and doing different finishes on them so we could have a look and decide which one we like. Here are the samples they did up. On the left we have “troweled concrete”, the centre is “polished concrete” and the right one is “polished concrete with a bit of colour added”. I have reviewed with the boss and the centre one wins - polished concrete. Tomorrow they are coming back to pour the step and seat, then coming back Wednesday for the floor, then polishing will take place. Here is your PB's GOLD STAR and how my heart feels after reading that! That is SO going the extra mile!!! WOWER! ....and the step and seat has been poured. Tomorrow - the floor! Man that looks SO smooth!! Why did they not do he floor at the same time? 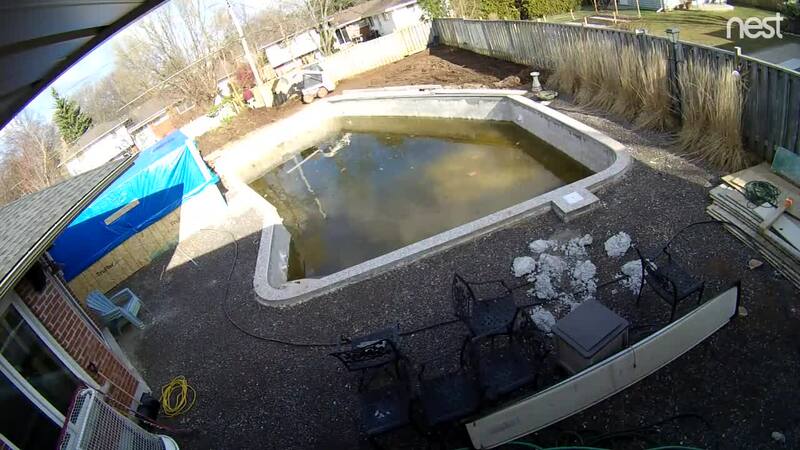 I know there is a good reason if YOUR pool builder is doing it this way. I want to learn his thinking. I think they didn't do the floor because they were standing on the floor while doing the seat and step (and they wanted to do the seat and step first so they didn't have to worry about concrete landing on the floor). Now they can come in tomorrow, do the floor and then come back a couple of days later to do the polishing. Well here it is with the step, seats and floor poured with the forms taken off. Just waiting for the polishing to take place and then moving into the decking. Progress! (And editorial note, I took the picture using the “panorama” setting which explains why it looks a tad wonky). ahhhhh so they want to keep it hydrated........smart move on their part.